I wanted to get another post out a bit earlier, but I soon realized that I couldn’t because of what was in store for Day 11. 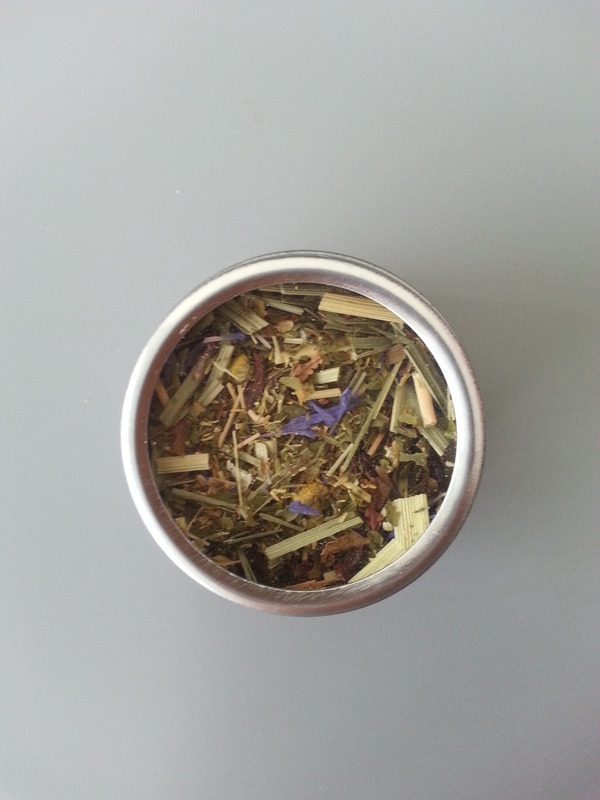 Ingredients: Organic: peppermint, lemongrass, hibiscus**, rosehips, chamomile, valerian root, cornflowers, peppermint flavouring*. On their website, they note that valerian root is “Nature’s valium,” which means that this tea is going to relax you until you’re roughly a puddle of goo. This human-to-goo transformation isn’t good during the day when you still need to get work done, so I saved it for after dinner. It turns a lovely cedar colour when it’s steeped that’s really quite welcoming. 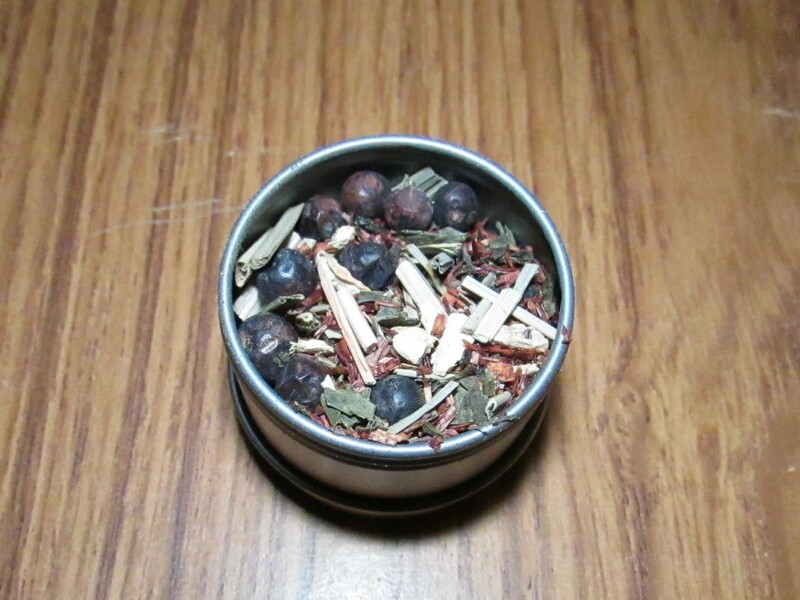 It smells like mint, hibiscus and rosehips, so it really draws you into your mug. The mint flavour comes out right away and lingers on the back of your throat, much like a mint candy or a losenge. It’s a little tart from the hibiscus and lemongrass, and there’s only a slight earthiness from the flowers. I love discovering new products through advent calendars and I was really excited to see what was in store for Day 10! 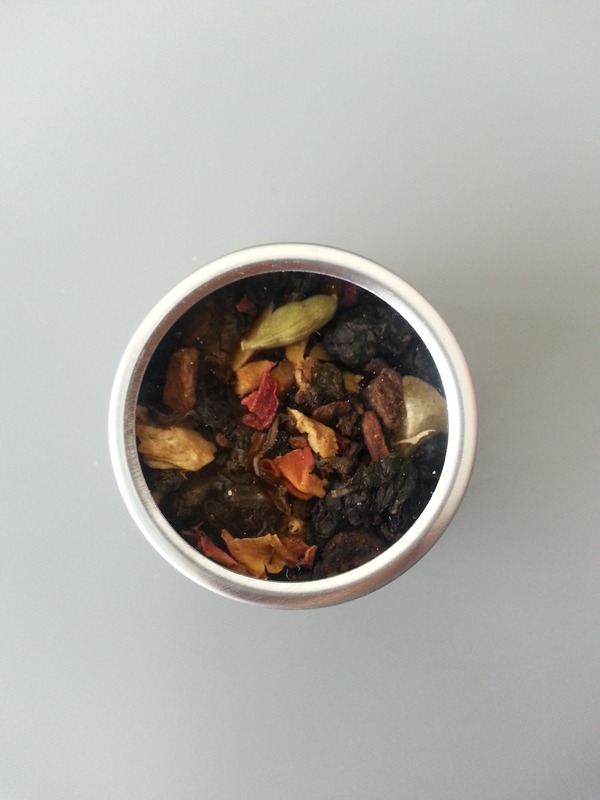 Ingredients: Oolong tea, roasted chicory root, pineapple, papaya, cinnamon, walnuts, apple, ginger, roasted almonds, cardamom, rose pepper, pistachios, rose blossom, artificial flavouring. Too bad I can’t have any of it yet because I CAN’T OPEN THE GODDAMN TIN. Seriously, I just struggled for 20 minutes with my three coworkers to try and twist open the cap but it just wouldn’t budge! I even put it under running warm water and I still can’t get it open AND the tea inside didn’t get wet at all! I’ve already reached out to DAVIDsTEA on Twitter to see what can be done, so I’m hoping I can get my hands on it soon. It sounds soooooooo good! I got so excited when I lifted the flap for Day 9! Wanna know why? Ingredients: Steamed green tea from Japan, roasted and popped rice. 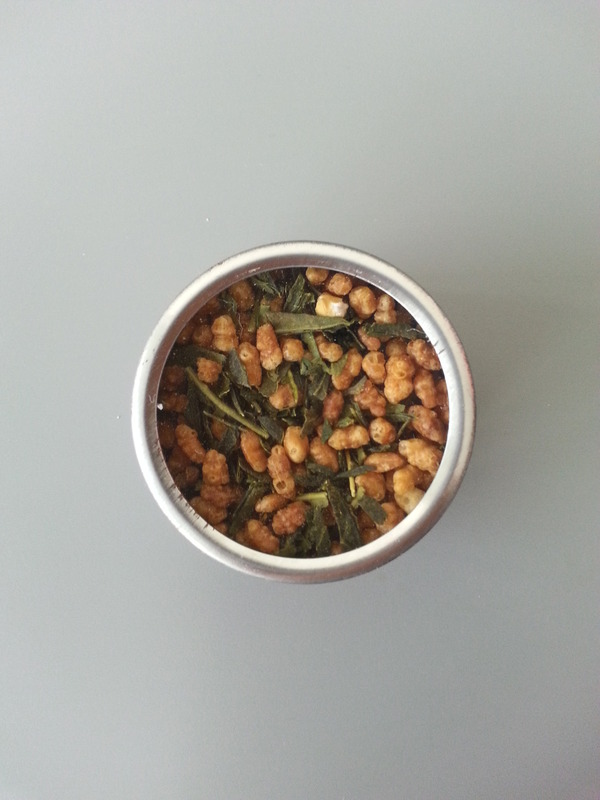 Genmaicha is one of my absolute favourite types of teas ever! The roasted and popped rice gives a delicious, deep, umami flavour to the delicate green tea leaves from Japan. 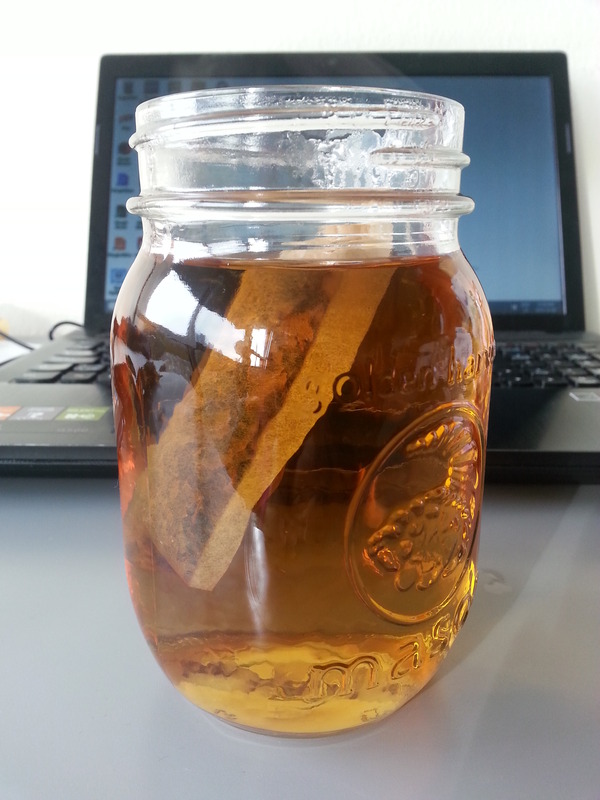 The genmaicha that DAVIDsTEA stocks has a lot of rice in it, which kind of masked the green tea flavour. For me, it’s really tasty but I can see why some people would be turned off by the strength of the roasted rice flavour. I haven’t been able to get pictures of the actual sample tins of the new ones, so that’s why I didn’t post yesterday. But, I did manage to get to taste some tea! Ingredients: Apple, coconut, sweet blackberry leaves, peppermint, spearmint, natural coconut flavouring*. 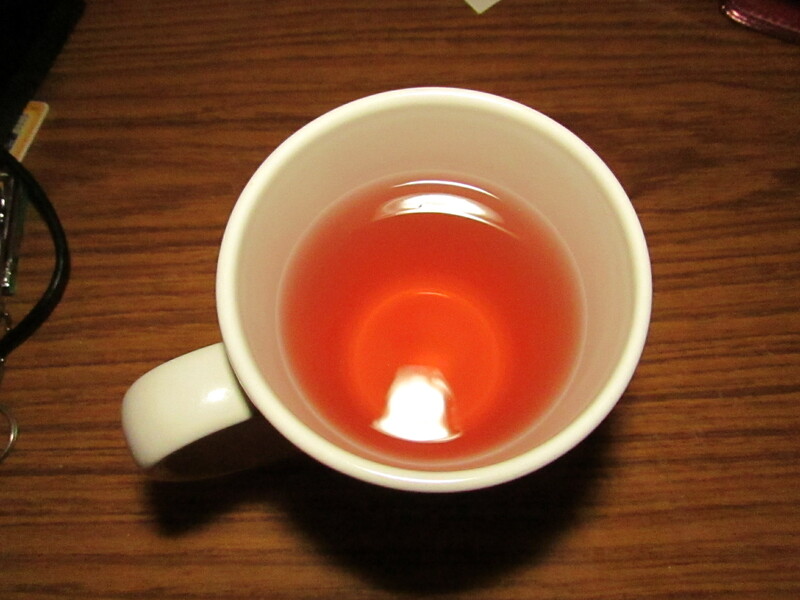 The colouring was very similar to most other teas, giving off a clear, dark amber colour. It was a little bit less red, but it’s nothing too crazy! I’m actually pretty surprised that they put two coconut-based teas only a day apart in the Advent Calendar. 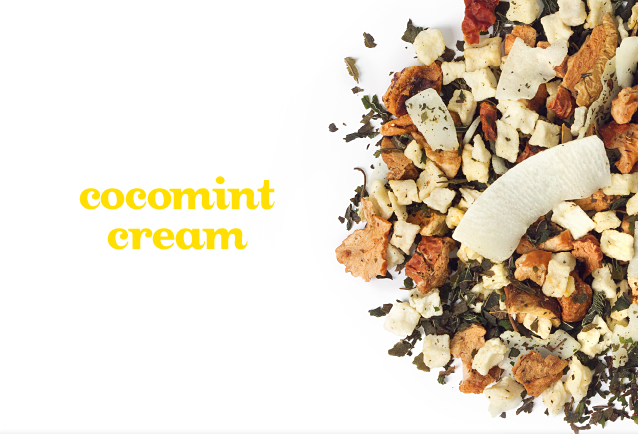 I’m not the most familiar with DAVIDsTEA’s selections, so maybe they have a lot of coconut-based teas in general? Cocomint Cream’s texture reminds me of Coco Chai Rooibos where the coconut oils are pretty obvious, but I feel like Cocomint’s profile is more balanced since mint cuts the richness from the coconut. 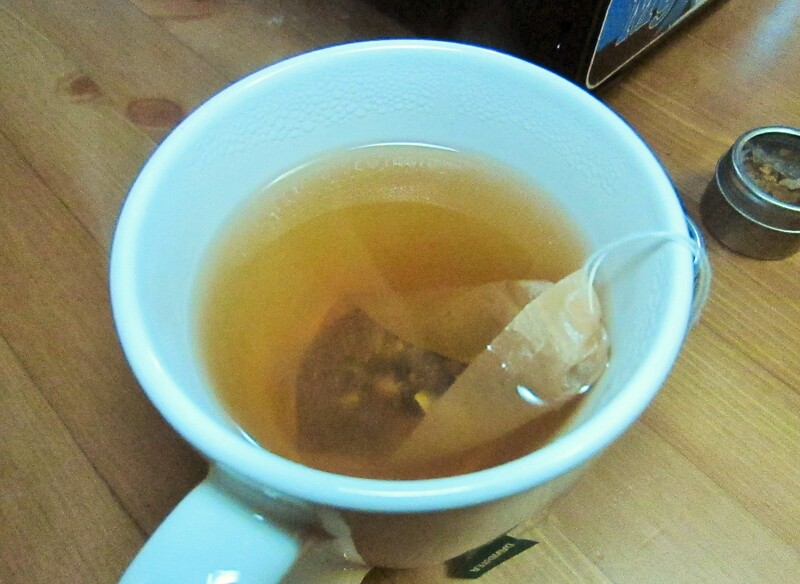 I’m starting to realize that I prefer spiced or “savoury” teas over the fruitier ones… Hmmmm. I’ll also update the post with proper pictures once my nose stops leaking bodily fluids. I wonder what’s in store for Day 9! You probably thought that I missed Day 6, didn’t you? Absolutely not! 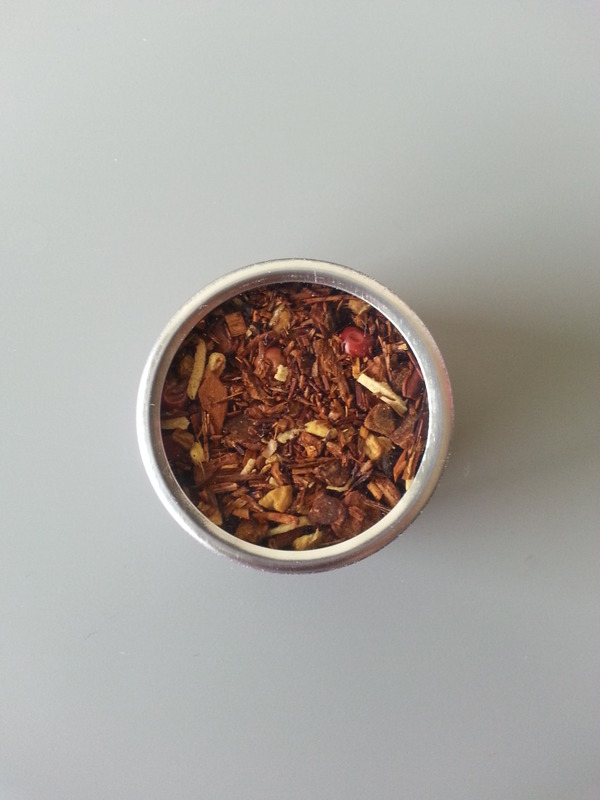 Ingredients: Organic Rooibos**, cinnamon, ginger, coconut flakes, cloves, pink peppercorns, cardamom, natural and artificial flavouring*. Today, I drank the English Breakfast first because I knew that Coco Chai Rooibos is a completely herbal, caffeine free tea so it (theoretically) wouldn’t keep me up all night! 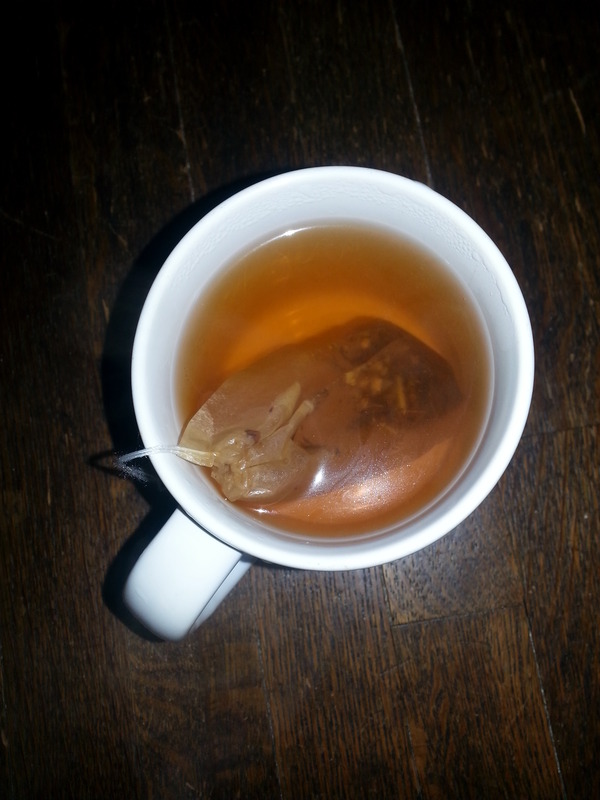 So, I saved the tea for when I got home today and it smells deliciously spiced with a hint of something tropical that I couldn’t quite put my finger on what that flavour was. It turns out that it’s the coconut flakes! I usually don’t have coconut, so I couldn’t identify it right away, but the coconut scent and flavour comes out really well when you go to take a sip! The Coco Chai Rooibos really showcases all the spices and the coconut, but I can’t help but think that the coconut changes the texture of the tea a bit too much because of its natural fats. I’m almost caught up! Check back tomorrow for Day 8 and 9! I actually had this one earlier in the day so I wouldn’t get super wired and not be able to sleep again. I’ve definitely learned that higher levels of caffeine is not a good idea after 5pm for me! Anyway, let’s take a look at Day 7! Ingredients: Sri Lankan black tea. 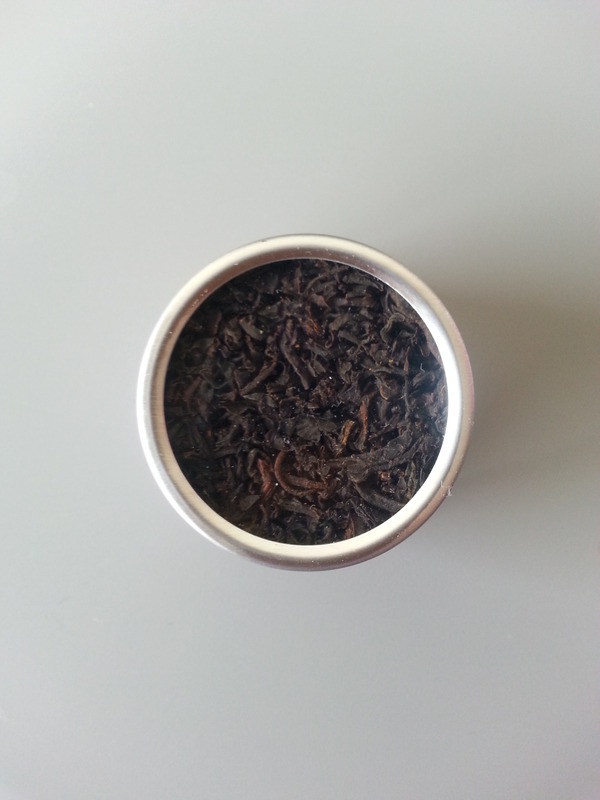 You really can’t mess around with something as classy and simple as some pekoe black tea leaves from Sri Lanka. It ends up being a nice darker reddish brown that actually doesn’t get too dark even while oversteeping by a few minutes. From my experience, black teas tend to get really, really dark but this one stays relatively light. DAVIDsTEA’s version of English Breakfast has some subtle notes of fruit on the nose, but not a lot of smokiness that I associate black teas with. It tastes pretty similar to how it smells, too! It’s quite mild in flavour for a black tea, but it has the characteristic astringency that’s a lot stronger than greens or whites.